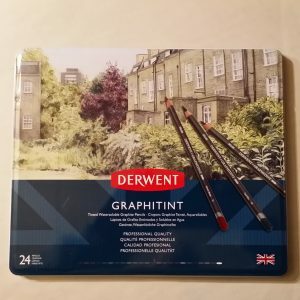 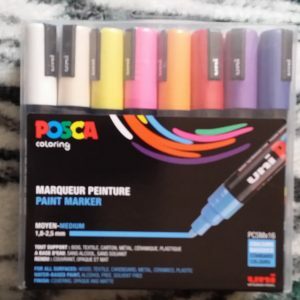 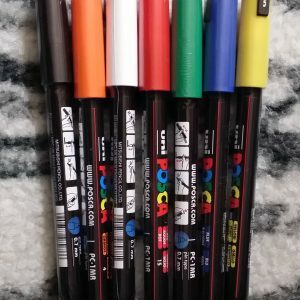 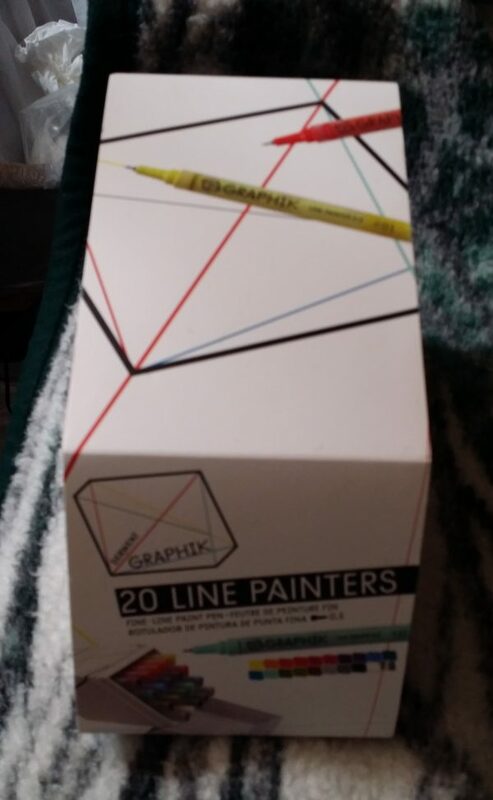 Derwent Graphik Line Painters, box of 20; fine tips (Japan nib); permanent water-based paint; unopened. 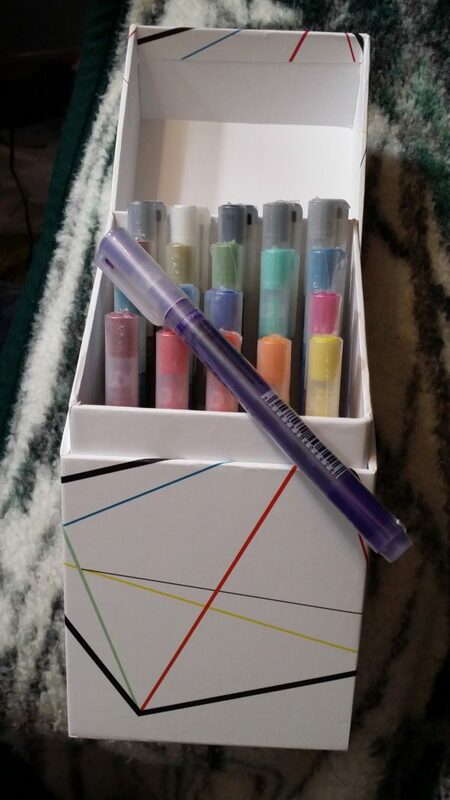 Colors include: Brickroad (yellow); Clockwork (light orange); Tom (orange); Herring (red); Blood (maroon); Tickled (pink); Rain (violet); Brilliant (blue); High (light blue); Billy (aqua); Paradise (turquoise); Minted (mint green); Envy (green); Fingers (olive); Bricklane (rust); Jungle (light grey); Graphite (dark grey); Magic (black); Snow (white); Fox (silver). 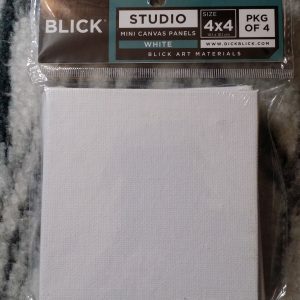 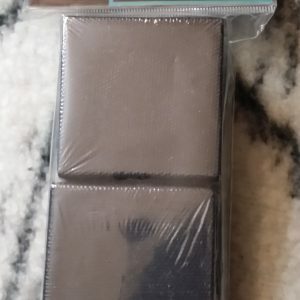 Great for creating layers, dribbles and washes.